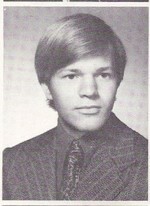 Bachelor's degree from Park University 1977. Medical school at Des Moines University, graduated 1980. Internship at US Public Health Service Hospital in New Orleans 1980-1981. Completed residency in family practice at UMKC-Truman Medical Center 1994. I worked in family practice 1981-2006 mostly in Blue Springs, MO. In 2006 I started working full time in ER. I currently work in the ER at Lafayette Regional Health Center in Lexington, MO. I also work a few shifts each month at Bothwell Regional Health Center in Sedalia, MO. Was married for 17 years to Beatrice Becerra. She passed away in 1996 from cancer. Was married a second time that ended in divorce after several years. Linda and I married in 2011. If you've been to the recent reunions you have met her and realize that we are "doing it right" this time. Dana Duckworth has a birthday today. 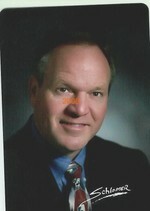 Dana Duckworth updated his profile. View.